They need exceptionally trained chauffeurs and who understand the corporate client. to accommodate you and your corporate clients. 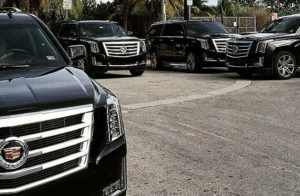 Exceptionally trained chauffeurs and late model vehicles to accommodate you and your corporate guests is what you need. We have all that you need for your corporate clients when they visit Boston. A plush Cadillac Escalade SUV with captains chairs and all the amenities including free WI-FI, Fiji Water and charging ports for all your devices is what you’ll experience with us. Our corporate road show packages are all inclusive so you don’t have to worry when we handle your clients. We make sure that we brand your company and provide your corporate clients visiting Boston with the professionalism, expertise and exceptional experience they need when on business. We can also handle plans for breakfast, lunch and dinner if necessary at the hidden restaurant gems with VIP seating. We understand the importance of corporate business meetings and the need for stress free transportation.